The Second Moon is a one-man-band started by Kjetil S. Matheussen in the spring 1997. 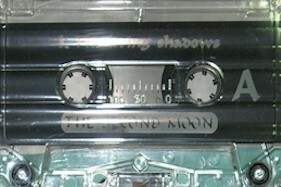 The same year, the first demo called "Living shadows from the second moon" was released. Despite the music were made in three weeks, and the recording-session only lasted for 3 and a half hour, the demo got for the most very good reviews. Some record-companies were interested in giving out a cd with the band, and the fairly unknown company called "Oskorei Productions" was chosen to release the first cd. One year after the demo was released, included a half year of delay, the cd was finished recorded and mastered. The music is some kind of dark avantgarde synth-based Metal-music. The vocals also has got very much in common with the black-metal. Xerox covers. Pro printed tapes.